Christchurch could soon see the construction of a city-spanning cycle network, but will be paying a new tax for the convenience. In a meeting of the Christchurch city councilors on February 26th the Mayor of the city Bob Parker proposed that approval be given to the idea of enacting a NZD 20 levy on all Christchurch residents to fund the construction of a city-wide network of cycle tracks. According to the Mayor, if the members of the Christchurch council are truly dedicated to promoting active travel and cycling in the city, as they say they are, the city needs to “…put its money where its mouth is”. The proposed cycle tracks will cover the majority of the city and will allow riders too reach most major destination in the city. The Reserve Bank does not have any quick tools or solutions which can bring down the overly-inflated value of the New Zealand dollar. 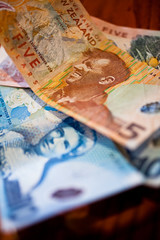 In a speech delivered last week to the New Zealand Manufacturers and Exporters Association in Auckland, the Governor of the Reserve Bank of New Zealand graham Wheeler said that the high value of the New Zealand dollar was not the only factor affecting the manufacturing industry in the country. The Governor’s comments were aimed at quelling recent allegations that the Reserve bank should do more to decrease the value of the New Zealand dollar in order to aid the country’s manufacturing sector. Receiving a portion of your salary as a voucher or pre-paid debit card may now be considered to be tax avoidance by the IRD. Late last week the Inland Revenue Department issued a new press release warning taxpayers that salary packages which substitute part of the payment for non-taxable vouchers could be considered to be tax avoidance or even tax evasion. 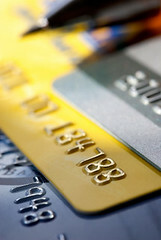 According to the IRD, some taxpayers are willingly choosing to substitute a portion of their salary package for vouchers or prepaid debit cards which they can use for their regular payments and expenses. Removing tax credits from research and development activity was an inefficient move for New Zealand. According to a statement released by the Auckland based Andersen Accountants on February 21st, a new report from the Organization for Economic Cooperation and Development has highlighted New Zealand’s current tax treatment of research and development activities conducted by local firms. According to Anderson Accounting, tax credits for research and development activity incentive desirable economic activity, and removing the measures is similar to firing the highest performing sales people.